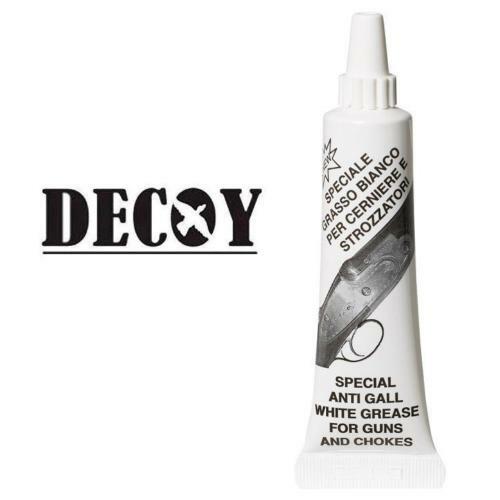 Special white anti galling grease that is ideal for chokes and pivot points. Highly water resistant for excellent long term corrosion resistance and ensures smooth operation of moving parts on any type of shotgun or airgun. This grease should be applied to chokes before inserting into barrels, to prevent the choke becoming stuck. This is necessary for proper care of your gun and chokes, and should be used regularly to prevent seized chokes.